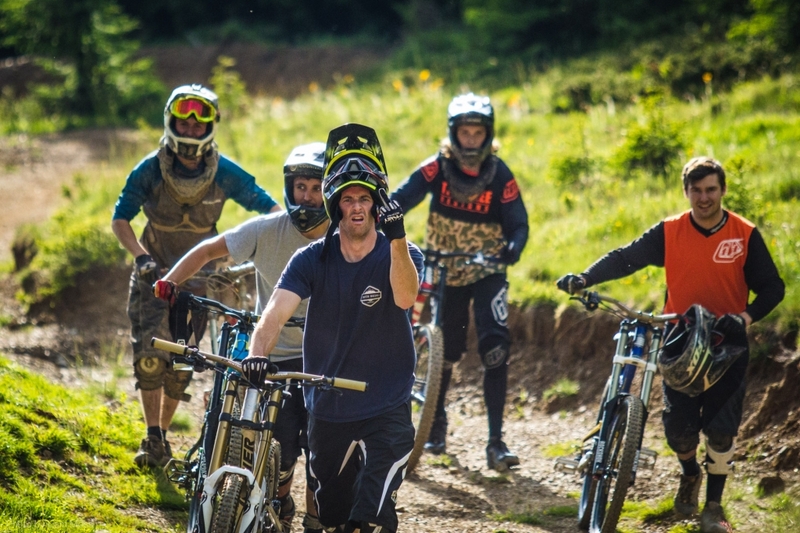 Sadly, the 2015 Summer Mountain Bike season has come to a close here in Morzine, in the Portes du Soleil. We have had an amazing summer! Following the 2014 season which was one of our wettest seasons, in contrast this year saw no more than 10 days of rain from the opening, until our last day of the Morzine MTB season on the 4th September. It was sun and dust all the way! For us at MTBMorzinebeds that means starting in May to get all of our bike friendly and MTB specific accommodation set up. With support from our friends and Park Tool and Juice Lube we provide a range of great products for all of our guests, to ensure you can keep your pride and joy well maintained and looking shiny throughout your stay. Once we have all of our MTB specific apartments in Morzine set and ready to go, we await the opening of the first lifts and the arrival of our first excited guests. Les Gets MTB lifts were the first to open this year. Opening from the 30th May for Saturday and Sundays only and then from the 20th June they opened full time. Morzine kicked off next, with the new Pleney Lift, which links with Les Gets, opening on the 13th June. The resort remained a little quiet until the annual Passportesdusolieil event which was held in the last week of June. 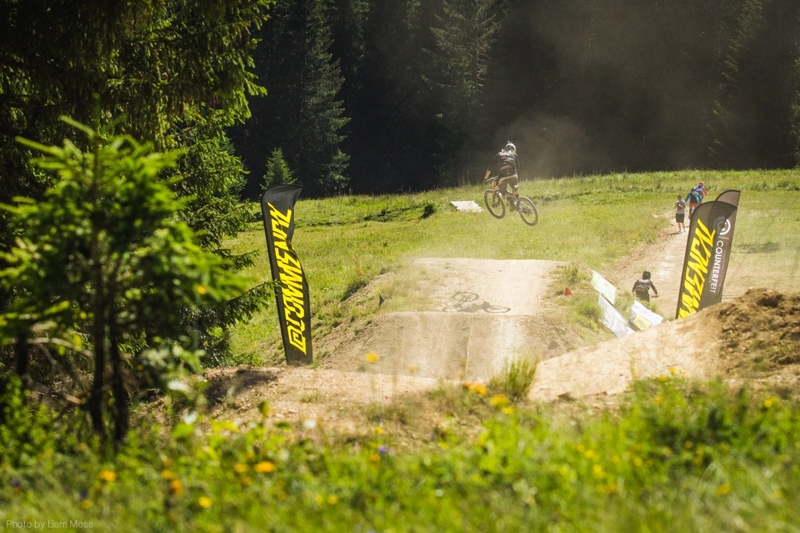 Morzine was the centre of all the action this year. Town was a buzz, restaurants, bars and stalls all crowded with bikers and families alike enjoying the ambience. We hosted our first of 3 Riders weeks on the 4th July. On Riders Weeks we offer a catered holiday package, providing 6 day full area lift pass, airport tranfers to Geneva, and luxury accommodation. We have a professional chef cooking a continental breakfast and a 2 course dinner, not to mention afternoon snacks for those post-ride munchies. There is also a hot tub, sauna and our usual range of products from Ti- springs, Park tools and Juice lubes. 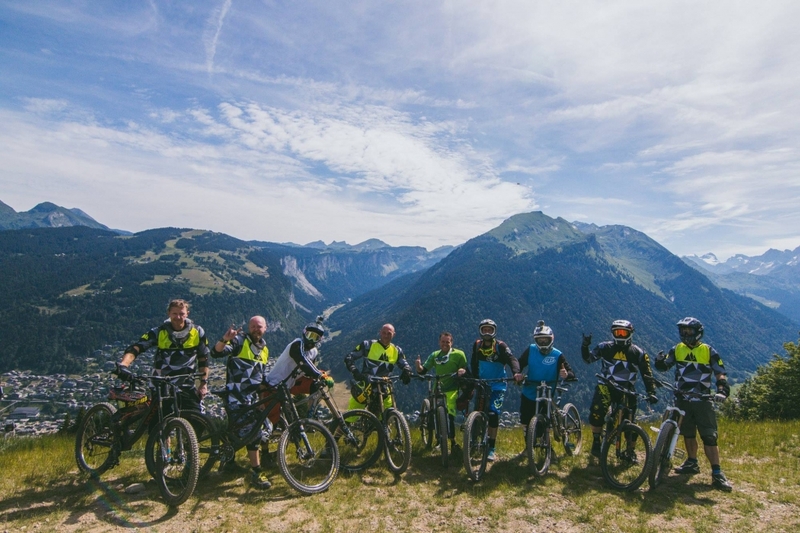 At £549 per person, it’s a great value way to spend your MTB holiday in Morzine. The energy of the season continued through July and August. We spent a great deal of time on the Super Morzine side of town this year. AvoriazMTB have worked hard maintaining a variety of trails to suit all levels of MTB riders. Super Morzine also links Morzine with the rest of the Portes du Soleil. 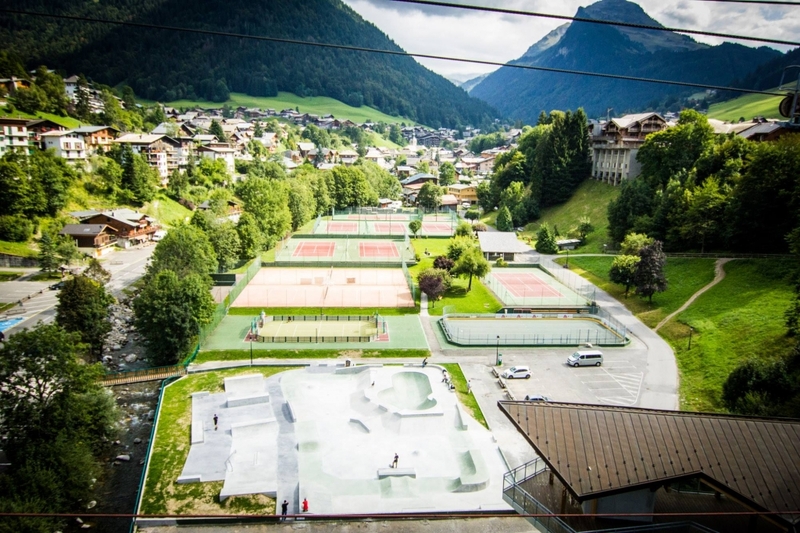 Chatel, Morgins, and Champery are all accessed from this side of town. 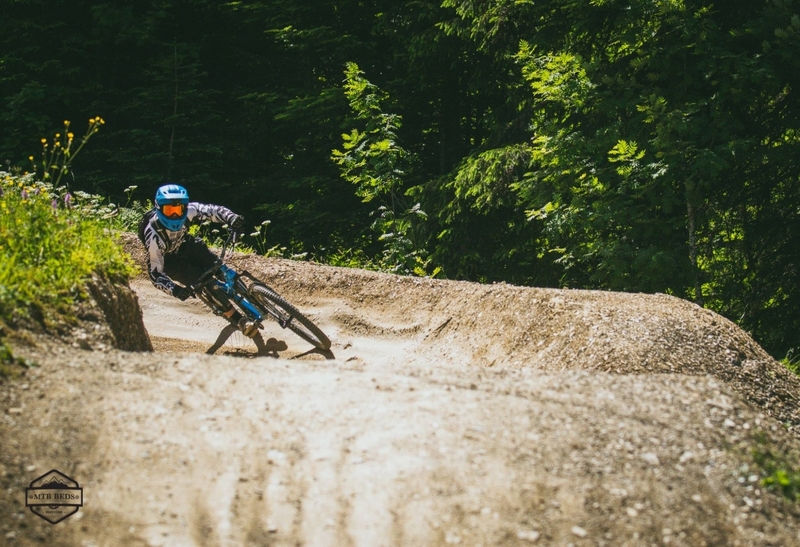 We rode a lot of tracks in the area, the Swiss National is a favourite for sure! We cannot express enough that people should get out and explore all that Le Portes Du Soliel has to offer The tracks further afield are incredible and can really make an adventure out of your week. If you are unsure on how to get to these places or would like advice on tracks etc. Our staff are always on point to help. Throughout the season, we sent our videographer MOSSMEDIAHouse out with our guests to capture pictures and videos of them enjoying the sunshine, dust, and good times on the hill. Groups could book him for whole days or just a morning or afternoon to follow them off to their favourite trails. 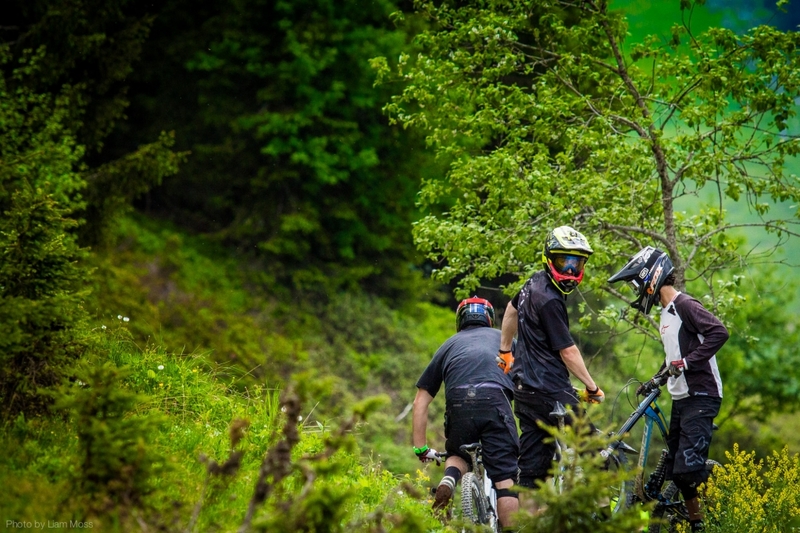 Morzine is not ALL about riding bikes. There is plenty to do if you decide you need a day or afternoon off your bike. You can cool off by a waterfall or crisp alpine lake, like the stunning Lac Montriond, which you can stop at on your way back from Lindarets. Or you may just want to quench your thirst in one of the many bars or restaurants. One place that seems to get the atmosphere for MTB riders just right, and where we like to meet up after a long day of riding is Le Cottage, located right at the bottom of the Pleney. We have spent many an afternoon on this sunny terrace that serves icey cold beer and tasty snacks all day until about 8pm – when its probably time to move on and think about showers and dinner anyway. The friendly staff are mostly all bikers themselves and are happy to chat about where to find the best trails and all bike related subjects. 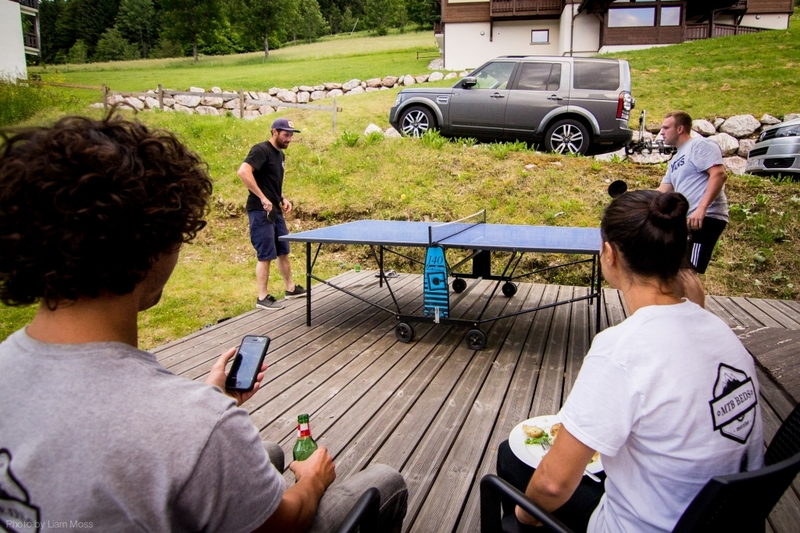 It’s also a great place to watch the UCI World Cup races when they are on. Pull up a chair and cheer on your favourite riders on the big screen. We even spotted some of the top riders on the terrace as there are some who like to use Morzine as a base for training between races. Le Cottage also offers free use of the bike wash when you buy a drink. If you feel like turning the volume up on your après session, ask them about the crocodile, but be warned, he packs a hefty bite and may ruin your next days riding, trust us. So, in all, it was an awesome summer, we had 3 successful Riders Weeks, with some guests already booking for the 2016 MTB season. We captured awesome videos and pictures of our guests and us having the best time on the Pleney, Super Morzine and over in Chatel Bike Park. It was Dry, Dusty and perfect for riding Mountain Bikes in Morzine all summer. Bring on 2016!